Something interesting happened yesterday. Not so much an "oh, hey that's cool" kind of interesting; more like an "oh, hey that's kinda disheartening" kind of interesting. 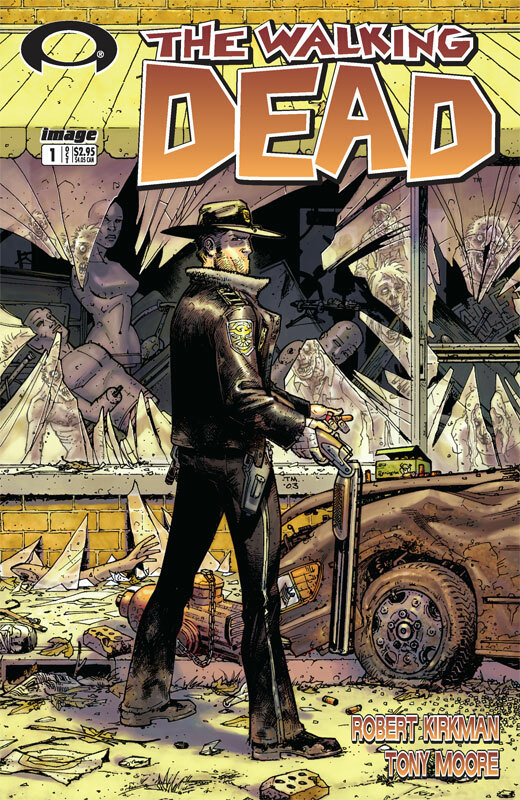 It was reported by a number of sources that Walking Dead co-creator Robert Kirkman is being sued by illustrator (and fellow co-creator) Tony Moore. This is disheartening for a number of reasons, especially considering the truly independent nature of Walking Dead. When a little black and white indie can beat all the odds and not only become a success in the comics industry, but also on television? A black and white book that found a way to rise to pop cultural prominence while the vast majority of indie projects don't even get published? That's reason to celebrate; it's an achievement few have ever seen realized, and it's just plain good news for comics. So when the news hit yesterday that Moore was suing Kirkman for, essentially, cutting him out of all profits made on the television series, it kind of sours you to the book and to the series. 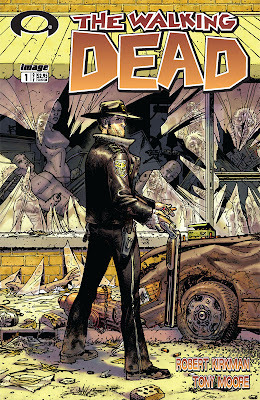 I love Walking Dead--I'm not a huge zombie fan, but this book has managed to captivate my attention and keep me coming back for more. For his part, Tony Moore is credited as co-creator, and he is the artist of the first six issues as well as the first 18 covers to the series. Since issue seven, artist Charlie Adlard has drawn the series, but really, when you're talking about creator's rights, who came next is irrelevant (even though Adlard's contributions to the series have, obviously, been substantial). The real crux of Moore's beef with Kirkman is that, in 2005, Moore agreed to give Kirkman his share of the rights in exchange for a piece of their earnings. Moore claims that he has not received the money owed him, and that Kirkman has not allowed him access to the Walking Dead financial statements, as was agreed to in 2005. Kirkman and his lawyers deny what Moore and his lawyers are alleging, and really, this whole thing is just plain messy. There's not enough information out there yet for me to come down on one side of this battle. I know there's been quite a bit of back and forth online amongst both creators and fans, but I'd rather not jump into that particular abyss. I certainly have an opinion on the matter, but it's just based off what I've read online, which, clearly, is not the whole story. That's going to play out in court, and it's going to take a whole lot of time and money. Ideally, Kirkman and Moore--friends since high school--can come to some sort of agreement. In the comics industry especially, where we've seen similar, legendary disputes in the past (Kirby vs. Marvel, anyone? ), it's just...unfortunate that stuff like this still has to happen. Here we are, one day away from the mid-season premiere of Walking Dead's second season, and the Internet is ablaze with talk of a potentially ugly legal battle over rights instead of talking about the last half of this season's show. It stinks, and I hope it finds a way to resolution. And that's all I'm going to say about that. But, Really, What Do I Know?